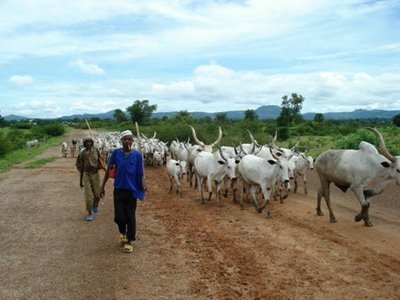 Yoruba leaders under the aegis of Afenifere and Odua Foundation, have demanded the immediate end to the lawless nomadic cattle grazing in Yorubaland. It was held in Ibadan, the Oyo State capital, on Thursday. The communique was signed by a group of conveners headed by General Adeyinka Adebayo, the President of Yoruba Council of Elders. The communique said: “Our people are no longer prepared to tolerate further encroachment on their farmlands and brutal attacks on them. The leaders further urged the Federal Government to ensure the immediate arrest and prosecution of the abductors of Chief Olu Falae. “The government should also arrest all perpetrators of violent crimes which have been reported at different police stations in Yoruba land arising from cattle rearing activities,” the communique said. It said: “If we do not see any step in this direction within a reasonable time, the Yoruba may have to reconsider their place in a union that can neither protect them. Adebayo, who was the chairman of the occasion, urged the Yoruba to make a firm stand on their position than before. He also appealed to the Yoruba to end any rancour that was brewing among them. He said: “We should come together and be our brothers’ keeper. “We should not be relegated. Governor Abiola Ajimobi of Oyo State urged the people in the South West not to take the laws into their hands or resort to violence. Ajimobi advised Yoruba farmers and their families to be law abiding, even in the face of provocation. “Let us abstain from taking rash decisions or respond to violence,” he said. He further urged law enforcement agencies to take proactive actions against any form of illegality. NAN reports that other conveners at the summit included Arch Bishop Ayo Ladigbolu of the Yoruba Unity Forum; Prof. Banji Akintoye, Oodua Foundation; and Dr. Fredrick Faseun, Oodua People’s Congress. Others were Chief Gani Adams, Oodua People’s Congress; Olaniwun Ajayi, Afenifere; and Dr. Kunle Olajide, who was Chairman of the Planning Committee.